Date Added: Thursday 07 June, 2018 by Maverick H.
Just got my vest in today! Was hoping I got the measurements right and boy am I happy with the results! 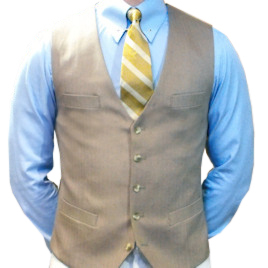 I wear dress clothes all the time but none compare to the fit and the quality of this vest. If I had known how great it was going to be in advance I would have purchased more to go with it! 5 Stars! !..